I have been looking for a non-toxic, inexpensive eye makeup remover that really works. I have never been satisfied with the commercially available products. Either they were full of toxic detergents or they didn’t work. Of course as a DIY junkie I started to try different recipes. I bought expensive ingredients and mixed and did experiments…well, again I wasn’t satisfied. One day where I had almost given up I really found it! It is ridiculously easy…but, believe me, it even works with water proof makeup and leaves your skin so soft!!! 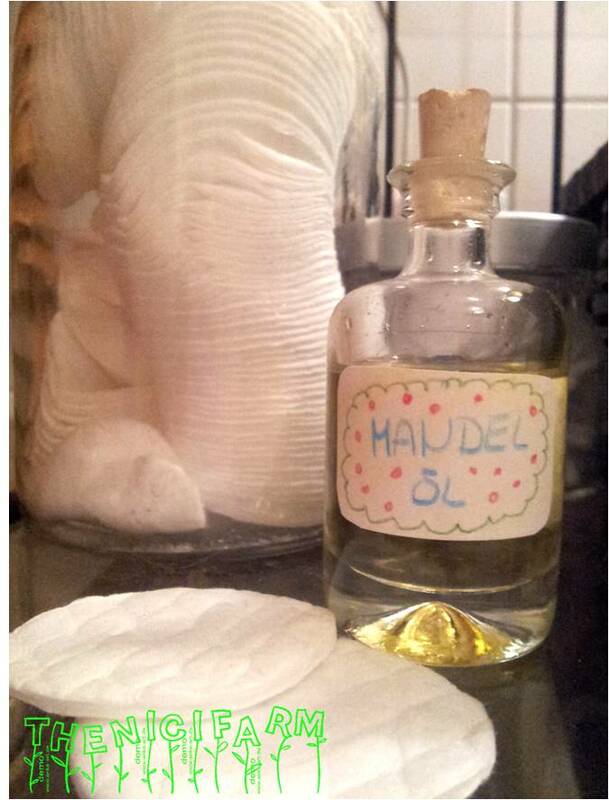 Wet the pad with warm (winter)/ cold (summer) water and drip on a few drops of almond oil. Hold it to your closed eye lid for a few seconds and wipe downwards. Please try it and tell me how it worked for you!